For privacy seekers, online marketers and anyone seeking to run multiple digital identities there’s one classification of IP address which stands above all others and that’s the mobile/4G/LTE addresses. Although there are a variety of different technologies used behind our mobile networks, 3G, 4G et al are all IP based. The primary reason is that using the internet protocol means that your data can traverse all sorts of disparate networks without an issue. However because of the way mobile networks assign IP addresses, they’re much more difficult to block or filter than standard IP addresses assigned from a datacentre. 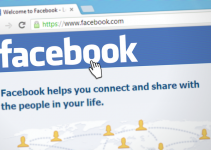 When you understand the basics of how mobile IP works, you will see why it’s so difficult for social networks and other geo-restricting sites to monitor them. With standard IP addresses assigned from a datacentre or Internet service provider it’s fairly easy to link one address to one user. However it’s much harder using mobile IP routing devices, which is becoming increasingly important. After all how many Instagram users are using smart phones and travelling around while they post. All the current, in use versions of IP (Internet Protocol) assume that the specific point at which a network device attaches itself to the internet is pretty much fixed. 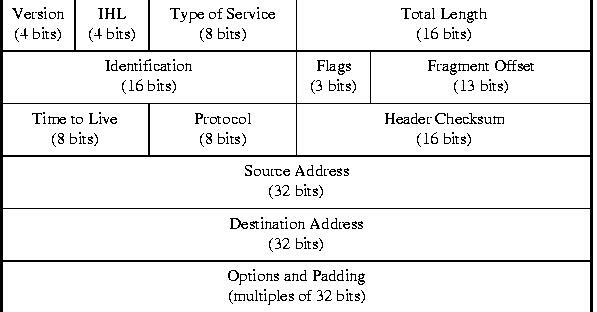 What’s more it assumes that the address which is assigned identifies the specific network which it is attached to. The datagrams are therefore sent to the device based on the location information which is stored in the IP address. This applies equally to standard hosts or indeed to mobile proxies too. Unfortunately with mobile phones and other devices this isn’t really the case. A mobile device or node can move to a completely different network while keeping the same IP address. So this address would not directly reflect the current point of attachment. This causes a problem that existing routing protocols won’t know where to route the datagrams properly. If a mobile node moves without changing IP addresses then it loses routing. If a mobile node does change it’s address it will lose all it’s connections. Neither scenario is really practical in this world where we all travel around with out sophisticated smart phones all the time. The problem has been fixed by a special mobile IP system which basically allows the mobile nodes to use two different IP addresses. One is a fixed home address and the second is a care-of-address which changes at each new point of attachment. 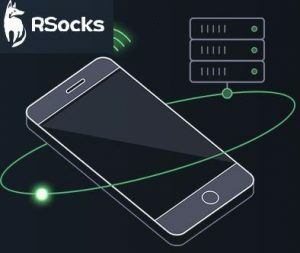 Using this system allows mobile devices to roam freely on the internet or even a large corporate network while still maintaining the same home address. This means that network connections and applications are not disconnected or interrupted when the mobile device is moved to a new point of attachment. Instead the network is updated with the new location of the mobile node. Here’s a general idea of the topology of Mobile IP. Internet host sends a datagram to the mobile node using the home address which is the standard IP routing process. When the mobile node is on its home network, the datagram uses the standard IP process to the mobile node. In other cases the home agent will pick up the datagram. 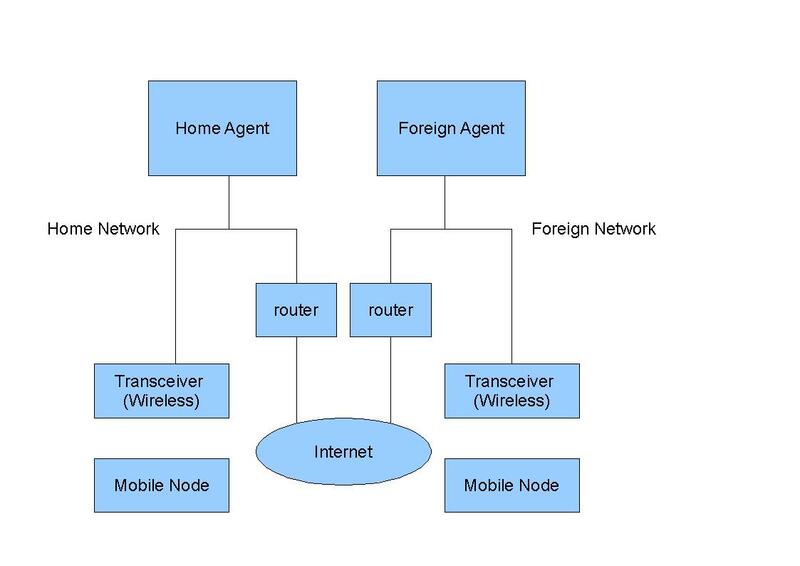 When the mobile node is on a foreign network the datagram is forwarded to the foreign agent by the home agent. Foreign agent will deliver the datagram to the mobile node. Any datagram from the mobile node to a host on the internet are sent using the standard IP routing procedures. When the mobile node is on a foreign network the packets are delivered to the foreign agent. Then the foreign agent will forward each datagram directly to the internet host. This is the basic scenario however when wireless communications are used then the transceivers will transmit the datagrams to the mobile node. Every datagram travelling between the internet host and the mobile node will use the home address of the mobile node irrespective of whether the mobile node is on a foreign or home address. The care-of-address is actually only used for communication with mobility agents and is not actually ever seen directly by the internet host.